“Before” photos by Dale Nichols; “after” photos by Keith Sutter Photography. When taking on the daunting task of a home remodel, finding the perfect team can make or break a project. Luckily, the greater Sacramento area benefits from the local chapter of NARI, the National Association of the Remodeling Industry (narisacto.org). Members of NARI are trusted and experienced professionals in the remodeling field, including design-build firms, manufacturers, suppliers, distributors, subcontractors, lenders and other related professionals. Established as a not-for-profit corporation through the Greater Sacramento Chapter of NARI in 2001, the NARI Education Fund provides scholarships to students pursuing a career in construction and grants to programs that provide construction education in the classroom. Additionally, NARI honors some of its members yearly with the Contractor of the Year (CotY) Awards. Chosen for their expertise in specific categories based on size of project, room and budget, the selected members hope to generate future contracts from new clients impressed with their work. 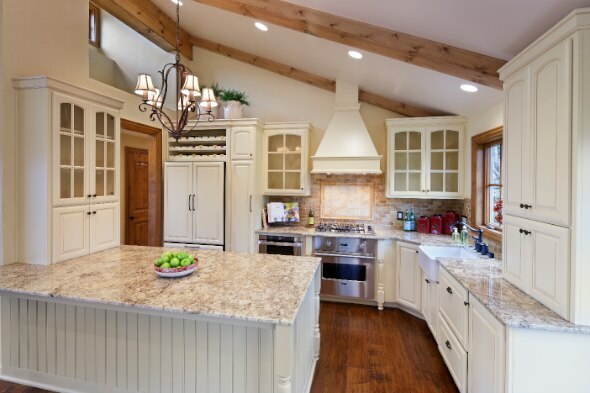 This year’s winner in the “Residential Interior $100,000 & Over” category – Dale Nichols of Artisan Remodeling, Inc., which is based Granite Bay – reflects that perfect combination of experienced craftsmanship and quality service. And it all began at the Auburn Home Show. Since the project appeared to be a good “design-build” candidate, Nichols brought in designer Natalie Bachli of Natalie Bachli Design in Folsom to consult. “The homeowners liked what Natalie and I offered in terms of a team approach to designing and building the project, so we were hired and proceeded with the work,” Nichols says. Submitted by Dale Nichols of Artisan Remodeling, Inc.
1. How long have you been in business as a remodeling contractor? 2. Can you show me photos of jobs you have done that are similar to mine? 3. Can you provide me with referrals from the owners of the jobs you have shown me? 4. Do you carry general liability and worker’s compensation insurance? 5. What have you accomplished that sets you apart from other remodeling contractors and shows me that you are a true professional, such as certifications earned or awards you have won? For more resources for homeowners, visit narisacto.org. The original home came in at just under 1,400 square feet, and without the option to add to the floor plan, Nichols and his crew gutted the entire interior down to the drywall and sub-floor to completely start over. They also moved walls to open up the kitchen area and made the master suite more functional. Once the new floor plan was in place, Bachli began working her interior design magic. “I have always been big on making small spaces feel bigger and maximizing their functionality, so I wanted to give them a home that allowed them to have features a house much larger would have,” Bachli shares. “I love when master bedrooms feel like a vacation getaway, so my plan was to create an organized walk-in closet to keep the room free of clutter and excess furniture, give them a cozy sitting area, and add windows to bring in light, as well as a French door that opens to a new deck – giving the room a more spacious feeling. 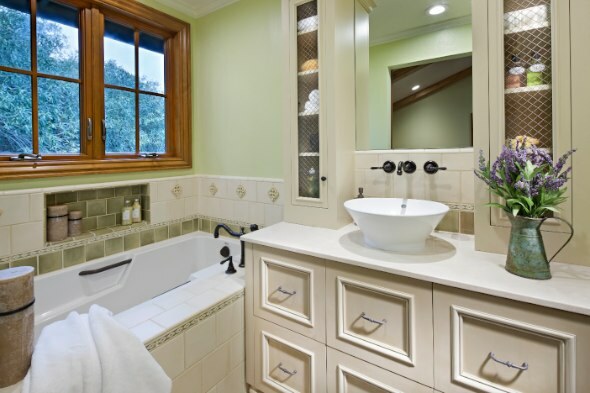 A beautiful, inviting master bath that included a soaker tub was a must as well.” Bachli and Nichols also honored the clients’ request for more natural light with the addition of new windows and chose a lighter paint palette for the walls to let the rooms breathe. While construction took eight months, the overall project spanned a full year. “Even though we moved to our other house two hours away, we still had weekly and sometimes twice-weekly meetings at the house,” Christie says. “We had the final say on all choices and options.” Though the LED-recessed lighting in the sloped ceiling took longer to complete than anticipated and upgrades were required to existing plumbing and electrical, the extra months proved worth it in the end.